What could honestly be more fun in the summer than a popsicle party and loungin’ around like a bunch of adorable pandas?! Just in time for summer daydreams comes this whimsical collection from Bella Blvd. Take your pick from fresh fruit, cupcakes, polkadot clouds, and juicy popsicles for this summer’s picnic. 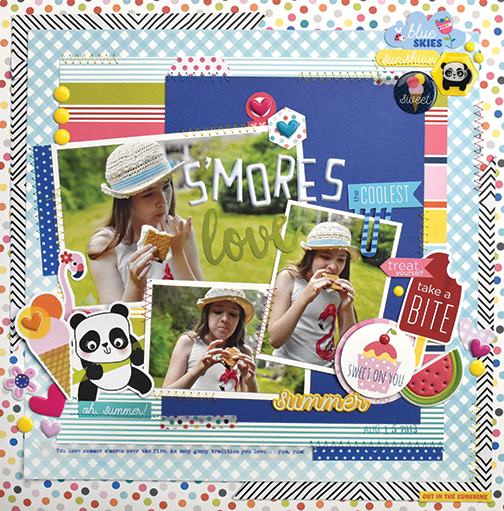 Collection includes new puffy and epoxy stickers for embellishing!